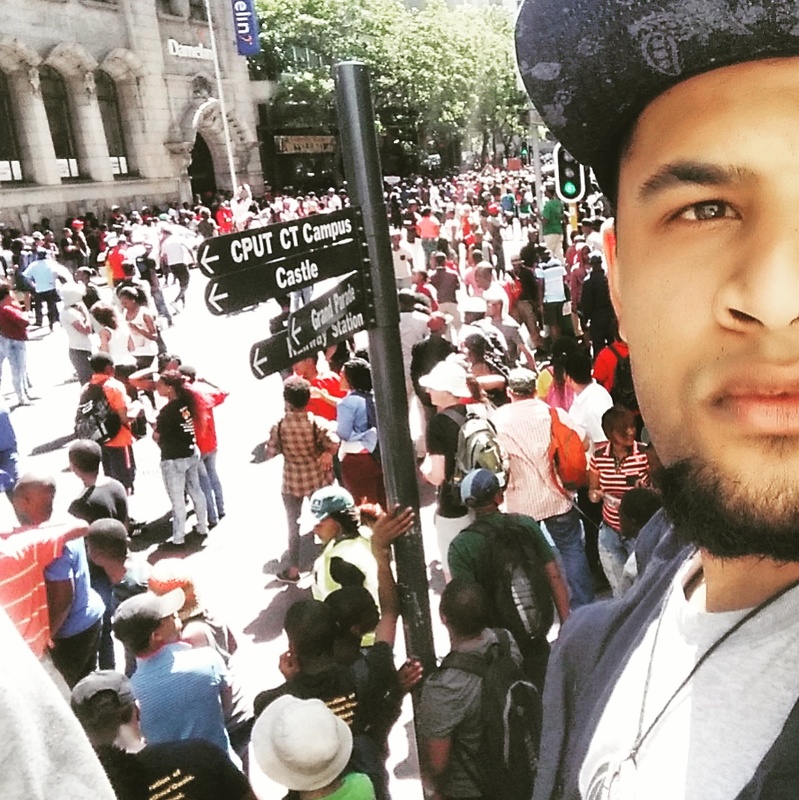 Being a radio presenter and speaking on matters I have no idea about would prove to be beyond ignorant, so in attempts to better understand the situation, students and the protest I joined in the NON-VIOLENT protest. 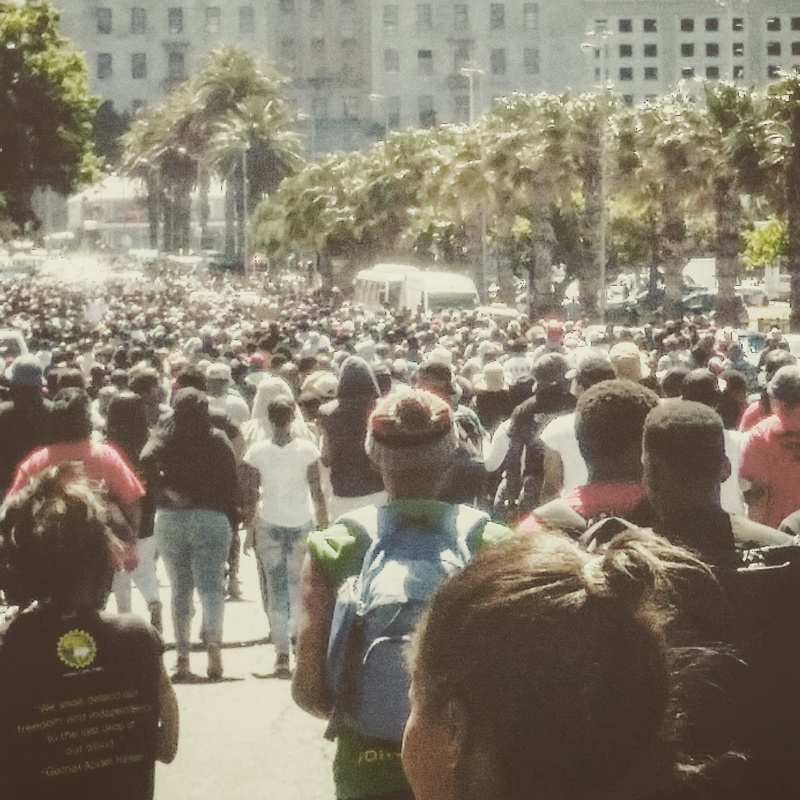 First we congregated at CPUT Cape Town Campus and made our way to the city centre and then through to Waterfront to get to Granger bay Campus. This journey was not a easy one, as police barricaded the entry through the city.Multiple shot gun shots were fired into the sky to scare the students,but to no avail. The students grew more passionate to get their point across and continue their protest. 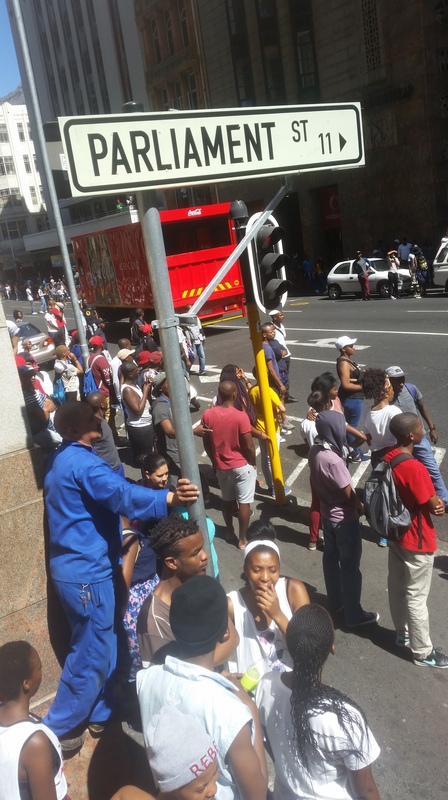 100s of shops in the city closed their doors in fear that the students might hurt them or loot their shops. But what television does not show you from the 1000s and 1000s of students protesting, it could easily be only 20 students with clear anger issues or a vandalistic nature or just plain stupid that throw bricks or bottles or kick doors. This is not even a quarter of the students that are just ignorant and haven’t a cooking clue what a non -violent protest is because they cannot internalise their anger. Anyways I walked with the students and if something was clear to me is that these young people were not going to back down until not only government but the world hears their cries for change. The sheer passion of the students was out of this world. I may not have been around in the apartheid era in freedom struggle as an active participator, but from my experience of today i may have a better understanding to what it was like to be in the atmosphere of passionate comrades and the feeling of camaraderie in the air. But only this time every single race was present. Black White & Coloured. And to all the people sitting at home complaining about violent protesters, my analogy would be imagine 5 kids at a school breaking the toilet door and the principal decides to keep the whole school to pay for a few people’s stupidity, so i urge you to join in so you can see what exactly happens and also understand that those few ignorant people part of the group are not in any way a reflection of these kids and what they stand for. These kids are saying no to a 6% increase on varsity fees and down with corrupt government that does not answer it’s youth and leaders of tomorrow. I believe in your fight Comrades.Not just for you but for the future of this beautiful country.